“A Fine Line” was awarded in the Chamonix Adventure Festival with the Jury Prize. Congrats Kilian & Seb! “A Fine Line” remporte le prix du jury au Chamonix Adventure Festival. Felicitations Kilian et Seb ! “A Fine Line”, primera pel·lícula del projecte Summits of My Life de l’atleta Kilian Jornet, guanya el premi especial del jurat al BCN Sports Film Festival. Felicitats Kilian & Seb!!! 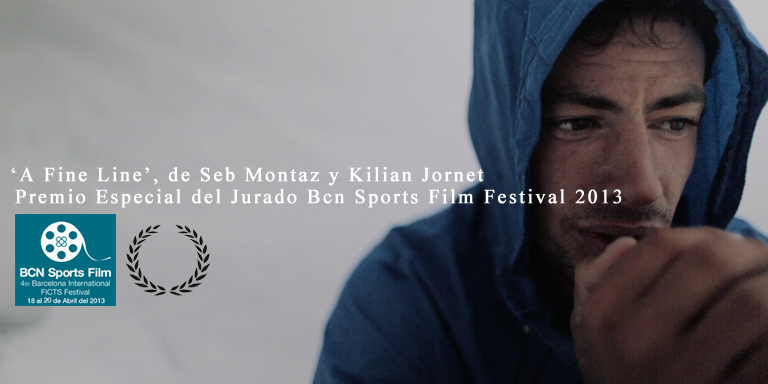 “A Fine Line”, first film from the Summits of My Life project by athlete Kilian Jornet, wins the Special Award of the Jury in the BCN Sports Film Festival. Congrats Kilian & Seb!! !